Build an emotional connection with your customers. This is what has made Apple so successful. While Samsung's recent series of humorous commercials point out the irrational level of loyalty many consumers feel towards Apple, there is a reason why many people refuse to buy a phone (or tablet or computer) from anyone else. It's not just the widely acclaimed Apple "ecosystem", although that is a strong retention tool. It's not just the focus on the design of the software and hardware, although that draws many to the brand. What really sets the company apart is their ability to elicit a personal connection with their customers that is unmatched among their competitors. Apple customers are passionate about the products and the company itself. You don't see any Samsung or Sony stickers on cars, but you see quite a few Apple logos. People have the same connection to Apple that they do to their favorite sports team (just listen to an Apple user argue with an Android or Windows user). This connection goes well beyond any rational appreciation for the company's products; it is a deeper psychological bond between brand and customer. 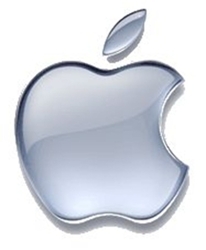 Listening to an Apple fanatic talk about the company is like listening to a religious fanatic spreading the good word. In fact, a recent study found that Apple ads actually elicit a reaction in these customers' brains similar to those who experience religious devotion (Read about the study here, or here). While this may be taking it to an extreme, there is no denying the fact that the emotional connection Apple builds with its customers is a key factor in the company's success. This bond is not easy to create, but it is worth the effort. A personal connection with your customers is the most powerful marketing tool out there. This emotional bond can be developed through exceptional customer service (think Zappos), an outstanding user experience, unparalleled quality or an overwhelming value. However, to truly emulate Apple's success with this strategy, you need to provide the full package. Every point of contact with your company should be flawless, and if it's not, you need to be able to go above and beyond to fix any perceived flaw. Marketing is the thread that holds this experience together. Every advertisement or piece of marketing collateral should reinforce the emotional bond that you have built. Each marketing message should remind your customers why you're more than just another company and why they should feel a connection to your brand. How can you get started building this type of connection with your own customers?